Some Vizio customers' televisions are making an unexpected move into the third dimension – E-Series TVs are being recalled for faulty stand assembly that may cause the screen to tip over. The TV giant has received 51 reports of certain 39" and 42" monitors unexpectedly falling forward due to a defective stand. No injuries have been reported as a result of a tip-over, but Vizio is urging customers to immediately disassemble any standing TV set that appears on this list to avoid injury or damages. Even customers with wall-mounted sets are encouraged to call for a new stand assembly just in case. The defective sets have been sold at major nationwide retailers such as Best Buy, Target, Wal-Mart, and Costco between the months of December 2013 and June 2013. Online shopping sites for these stores and sellers like Amazon.com also report significant sales of these products. 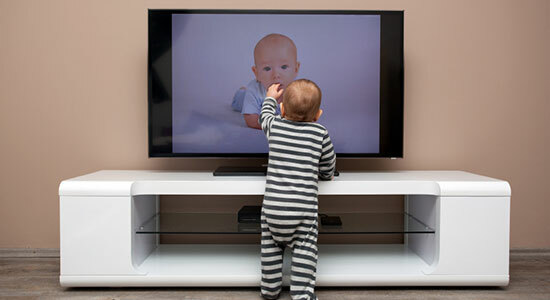 To help customers identify an E-Series TV, Vizio reports that the products in question are all black and bear the brand name emblazoned on the bottom right corner of the screen. In the center of the back, there is a large black "V."
Were You or a Loved One Injured by a Defective Product? It happens too often: Manufacturers don't discover faults in their products fast enough, or someone gets hurt before they have a chance to hear about a recall. If you or someone you care about was hurt by a defective product, you may have a case. Contact our law firm to see what we can do for you. We offer a free legal consultation with no obligation to use our services. If you've been seriously hurt by a faulty product, let us help. Source: "Vizio recalls about 245,000 televisions." WTAE News. August 7, 2014.